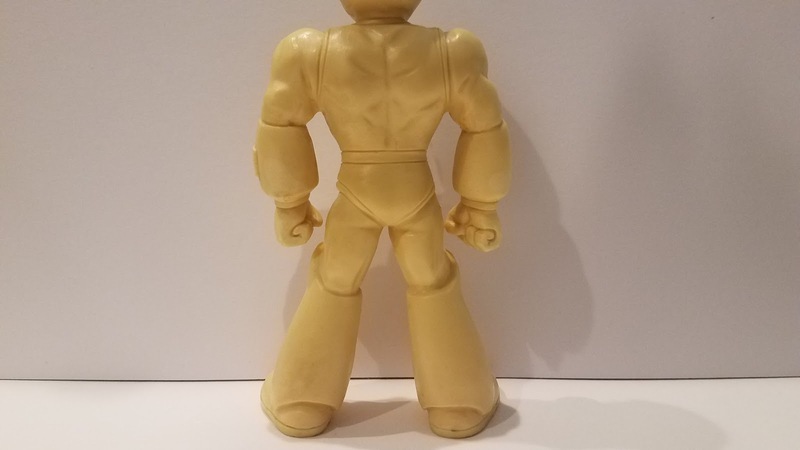 A rare piece of Ruby-Spears Mega Man history is now safely in our possession. 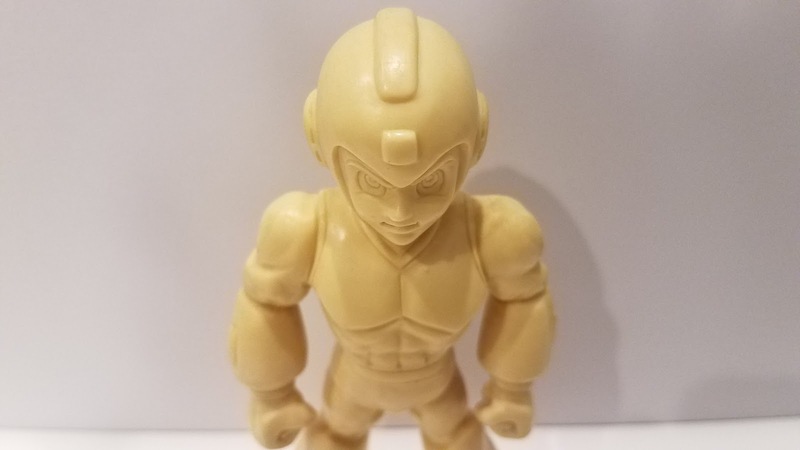 Rockman Corner contributor Mariomario64646464 has procured a Mega Man "test shot" prototype figure from Bandai's Ruby-Spears cartoon toyline (shown left). 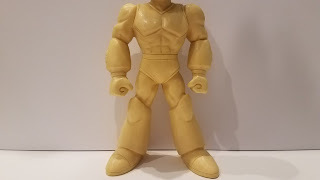 Compared to the 5-inch action figure that released in the U.S back in 1994, this resin prototype looks a lot more on-model. There's some other fun differences, too. Check 'em out after the break! "Test shots, also referred to as engineering pilots or first shots, are test runs of the injection molds to spot sculpting errors, test the plastic tolerances, test articulation, etc. 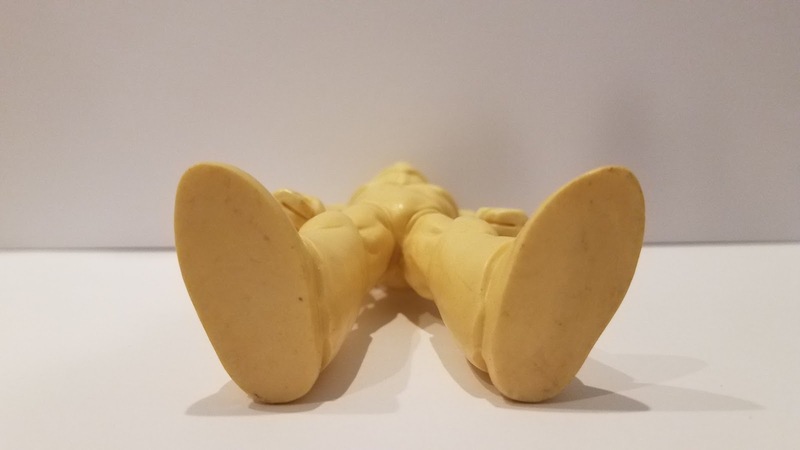 Safety testing is also done with test shots, which sometimes results in the injection molds being retooled or the plastic type used for certain parts being changed in order to accommodate the changes demanded by the legal department. They are often cast in a single color of plastic, or in seemingly random colors that look nothing like the final products. Some are completely or partly made of clear (but not necessarily uncolored) plastic, which helps the designers observe the functioning of hidden parts. Test shots do not sport any factory-applied paint operations." tl;dr, tests shots are for testing purposes and rarely, if ever look like the toy you buy off the shelf. What's more, The 5-inch Ruby-Spears figures were never meant to be super detailed or show-accurate. Rather, they were designed for the ease of mass production. And, you know, that's kind of a bummer. I lament the lost opportunity for Bandai (or any one, really) to produce Ruby-Spears toys aimed towards collectors/adult fans. Say what you will about the quality of the show, but I'd buy the heck out of a ten-inch, on-model Ruby Spears Mega Man or Proto Man. I digress. 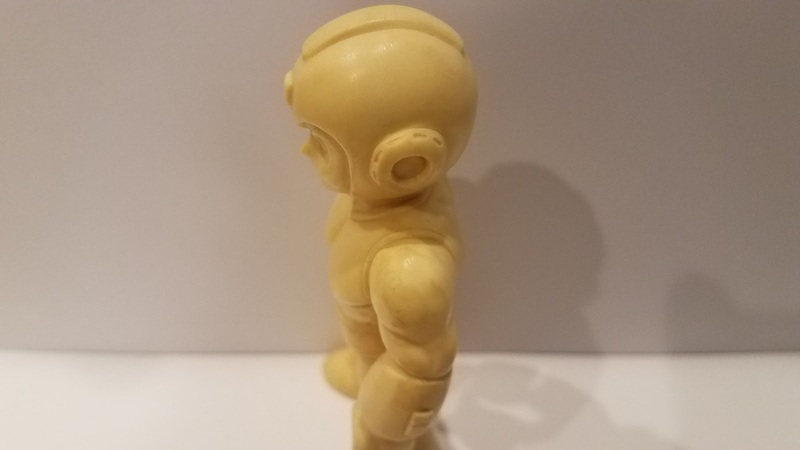 The test shot prototype was obtained via Yahoo! Auctions fairly recently. It is one of few prototype Ruby-Spears Mega Man toys to be found out in the wild, the first being a set of uncolored mini figures found in 2015. We'll keep an ear to the ground for future Ruby-Spears items. 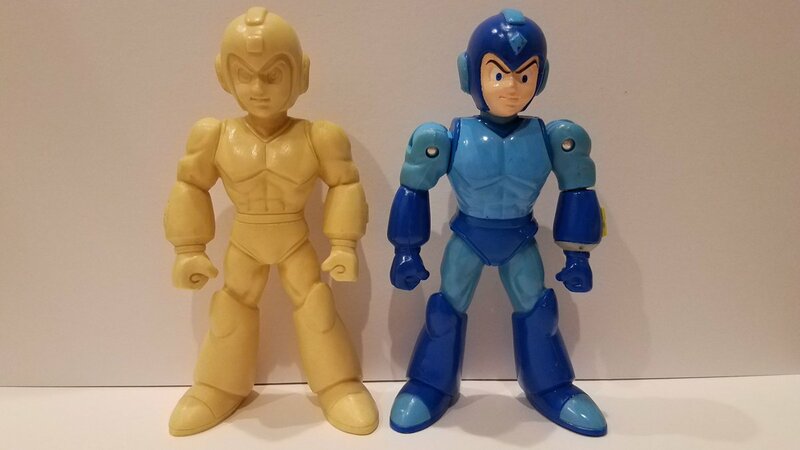 I, for one, am particularly hopeful we'll find the fabled 8-inch "talking" Mega Man figure. It was never released but Bandai did whip up a colored mold for promotional material. Fingers crossed! Yahoo Auctions is still around??? How much was this??? The figures had nothing to do with the show being cancelled. What makes you think they didn't have anything to do with it? Everything I have read said the show was design to sell toys and did not do its job. 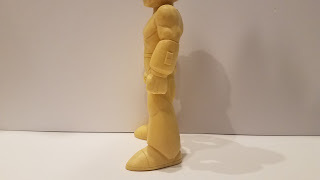 Thats awesome, loved those figures as a kid. The final figure isn't far off from this mold. 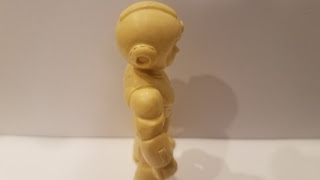 Keep in mind the added moving joints and removable parts and such. I'm still amazed how I never come across any of these things when I browse Yahoo Auctions. 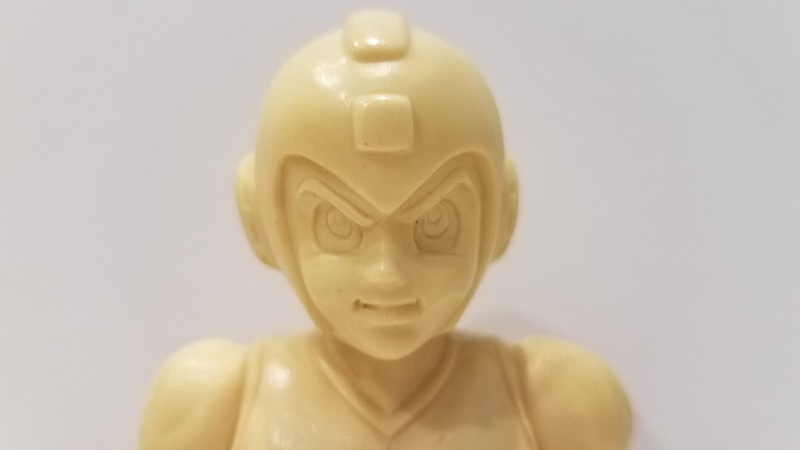 lol Keying in specific things usually yields no results, so I usually set aside an amount of time to sift through every page of "Rockman" and "Megaman" results. Crazy, I know. The original looks a lot more detailed for sure. 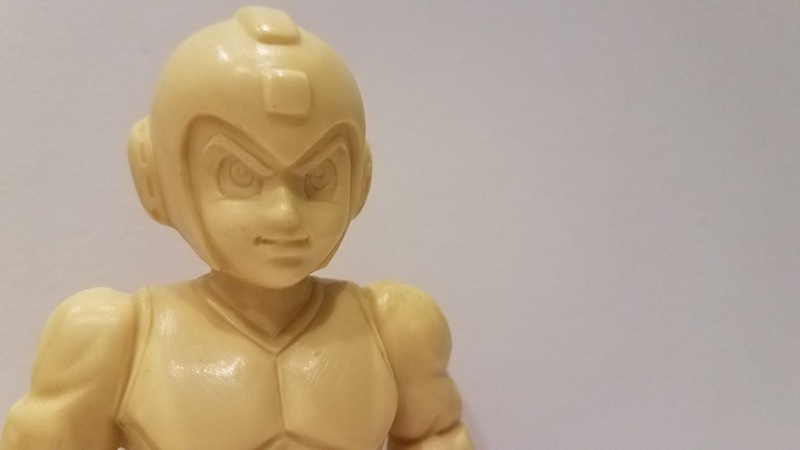 I think the final figure struck a happy balance of the show's design and the cutesy game Mega Man we know. Would love some updated figures based on the show. 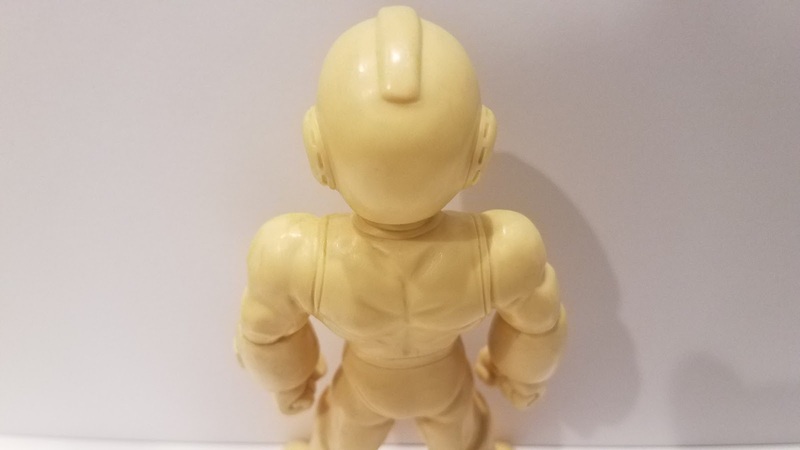 While I think it would be ideal for Bandai to produce them say, in the vein of SH Figuarts, this seems more like the kind of thing Neca would take a crack at. I've been wanting a updated figure of this Megaman design to happen for many years. That'd be pretty nifty. I want buff Proto Man. 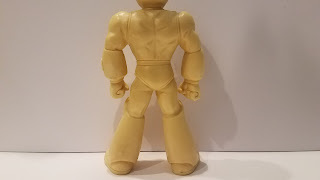 That would be awesome Tiny Proto.